5 – 6lb Rainbows Trouts! 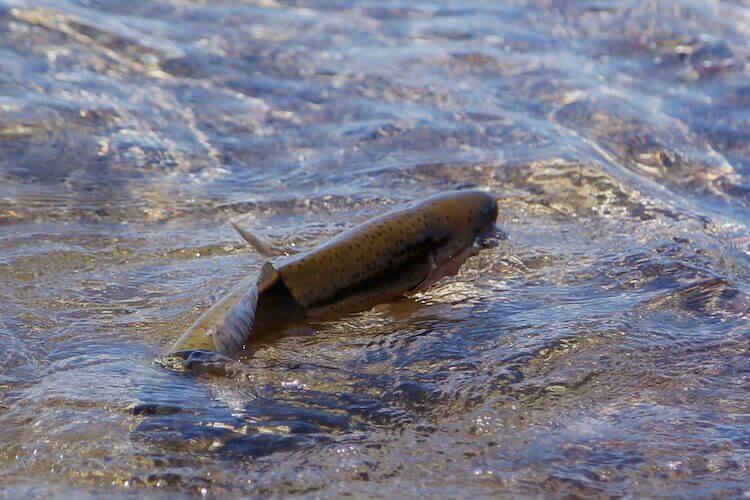 Where did summer go ?, very interesting fishing on the Tongariro at present, I have seen pictures of 5 – 6lb rainbows, pods of 50 fish in the Major Jones, bagged good numbers recently, lost a couple of good Browns. If the stories of smelt gorging fish are true there should be some nice trout heading up to spawn later on. Anglers trolling or harling may have up to 200 metres of line trailing behind their boat. Give them plenty of room before cutting across behind them or you may cut their lines. When you meet another boat head on, leave them room to manoeuvre. Skilled skippers will be trolling their lures close to the bottom and will be unable to turn into shallower water without snagging their lines. When parking your boat at a popular spot on the lake for jigging or flyfishing, give other boaties room to cast and fish. Avoid parking in popular trolling runs. On still days sound travels a long way. If you want to make a lot of noise, get away on your own somewhere so you don’t disturb everyone else.